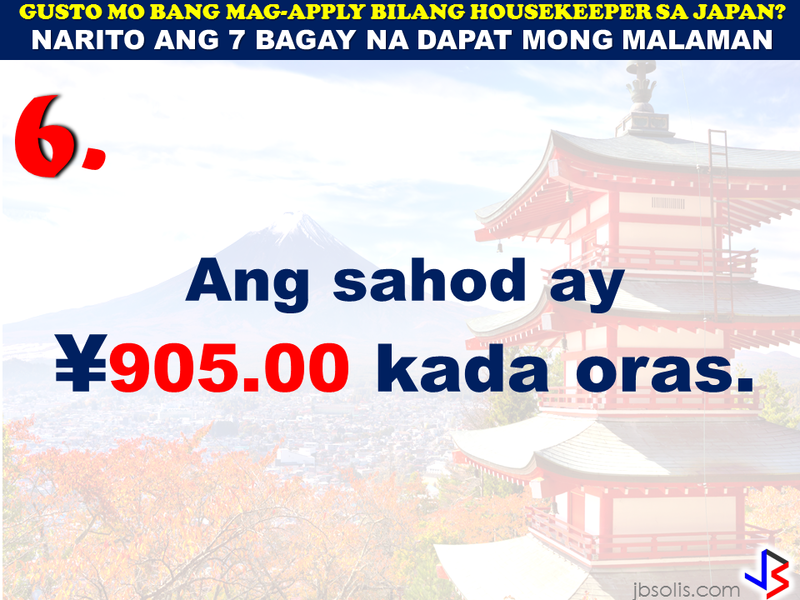 JAPAN has started hiring Filipino Housekeepers (household workers), but only for certain strategic economic zones (starting in KANAGAWA and OSAKA prefectures). 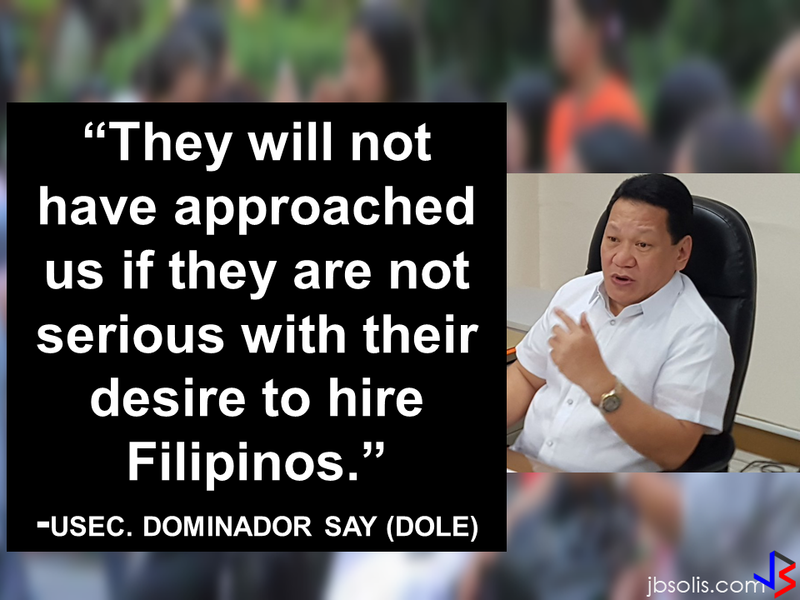 Therefore, be wary of unlicensed recruiters, travel agents, consultancy firms, training centers which might be promising moon & stars, relative to this opportunity. Beware! They are not authorized to recruit and deploy workers for Japan. 2) Training fee (Japanese language, culture, values) here, and in Japan, is @ NO cost to selected/hired workers. 3) Maximum 3 years contract. 5) flexible work hours, with guaranteed 35 paid hours per week, and 1 day off weekly. Refrain from doing transactions from any recruitment agencies with policies not compliant with the abovementioned terms and conditions. Be smart! Do not be a victim. 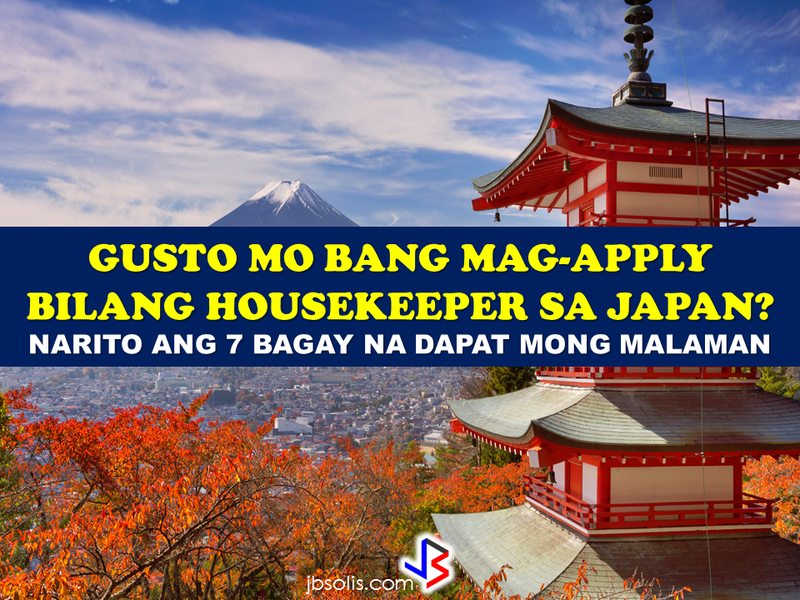 ***Please be reminded that jbsolis.com/Thoughtskoto is not in anyway connected to any recruitment agencies that hire people for Japan deployment. You can contact the POEA directly for info on how to apply. 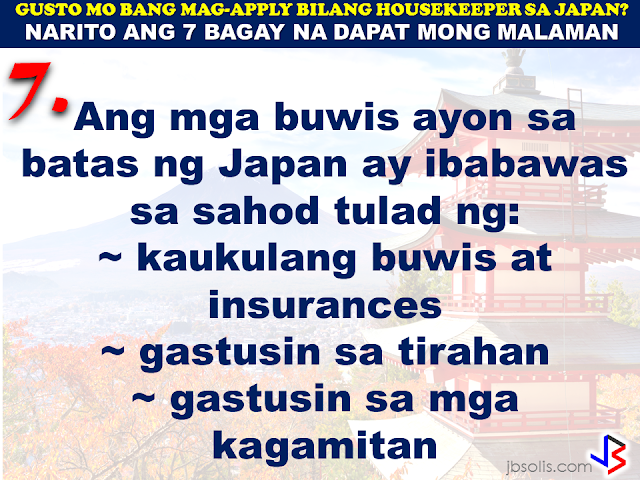 Source: Memo Circular issued & EC for Housekeepers approved by POEA last year.